If you suffer from anxiety, you have probably felt trapped by your inability to find solid relief for the condition. You probably know all too well how familiar the feeling is to have brief moments of calmness, however fleeting, only to be reined in once again without reliable methods for keeping it at bay. We understand, and we can help. Anxiety affects approximately 40 million people in America, or 18% of the population; a staggering figure that denotes how stressed our current society and culture are. You are not alone by any means, and with such large numbers of people suffering from this illness, it is clear how necessary it is to find serious solutions to the issues at hand. Anxiety disorders involve more than temporary worry or fear. 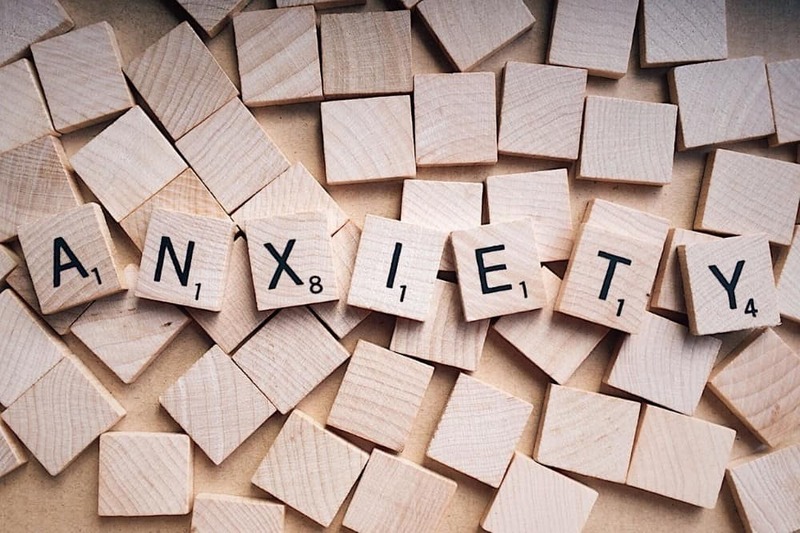 For a person with an anxiety disorder, the anxiety doesn’t just go away at some point; this is an illness that has a tendency to get worse over time, affecting a person’s daily activities, job performance and relationships. The most common forms of anxiety disorders are generalized anxiety disorders, panic disorders and social anxiety disorders. Sometimes, a physical evaluation is advisable to determine if a person’s anxiety is associated with a physical illness. Occasionally, anxiety can be paired with other conditions, such as alcoholism, depression, or other coexisting conditions. If other conditions exist, a patient should seek treatment for those before treating the anxiety disorder as that’s where the most important problem may lie. As difficult as anxiety is, we want you to know that there is a light at the end of the tunnel. There is freedom ahead, and we can help you gain it without drugs, without difficulty, without inconvenience. Alternative options exist, and if you are seeking a serious alternative to standard methods of treating anxiety, which are often ineffective, we want to help you find the right kind of relief. Without drugs. Without dependence. Without losing any more of your quality of life. Anxiety feels like the opposite of mental and emotional freedom. It is like constantly being weighed down by shackles within your mind that do not allow you to experience the freedom you crave. The worry sets in and you are unable to think straight. You may not even realize what is troubling you, but something continues to lurk in the shadows, irking you. The voice in your head cannot be quieted, and no matter what you try to quell the chaos, you remain trapped in your own mind and it can be unbearable. Anxiety puts the mind into a continuous state of worry, of darkness, and fear. It convinces us this darkness and fear are perpetual, and that our reality is much more grave than it actually is. Those who suffer from anxiety often have a hard time putting into words how it feels, and instead, when asked to communicate their feelings, they are stumped and filled with only frustration, aggravation, anger, and sadness. Anxiety brings on feelings of being completely powerless to your mind, which is holding you hostage with its thoughts. It is your brain knowing your fears, and systematically using them as weapons against you. Anxiety prevents you from sleeping; it roadblocks you when you’re awake. It sidelines you on your path to accomplishing even basic chores. It institutes such fear that it prevents you from taking necessary steps in so many areas, rendering you paralyzed by the thoughts in your head. If you have ever suffered from anxiety, you know these feelings well. However this is not how it has to be under any circumstances. Your life is waiting to be lived and you should not have to live in constant chaos, relegated to the imprisonment in your mind that refuses to allow you to think clearly and fully. You should not have to live in perpetual fear of your own mind, enslaving you to its incessant, uncontrollable thoughts. You should not be stricken with “what-if’s” every time you try to accomplish something, no matter how small a task. Real Solutions for Treating Anxiety; Take Control of Your Life! The most commonly accepted methods of treating anxiety involve prescription medications, as well as a wide array of self-medicating options, such as alcohol and recreational drugs for relief. However, all of these options have their downfalls, and if you had the option to choose a remedy that was both natural and effective (and without consequence), wouldn’t you? We understand the silent torment of anxiety and we want to help you break free from the confines. We want to help you take control, and harness your power to be free of the grip of anxiety. Anxiety is by no means, a new disease, and humans have found countless ways of treating it over the millennia that did not involve the use of prescription drugs. Certain solutions have lasted through the centuries to treat anxiety and depression, along with other medical conditions, and are still being used today quite effectively by millions. In suffering with an anxiety disorder, you are not alone. And if you are seeking a natural alternative remedy to help deal with the condition, you are among the many who are after the same solution. In our work to source effective options for those dealing with the daily trouble of anxiety, we have researched and perfected a range of methods that are safe and most importantly, effective in helping people handle their anxiousness. We have had the privilege to help thousands find the relief they’re seeking, and we want to help you do the same. Naturally and safely, our methods are among the most cutting edge and innovative around. The Right Options for Relief Are Available to You Right Now! Anxiety is becoming more and more prevalent in our culture as more people continue to add stress to their lives. What many mistake for “multitasking” is actually an over-scheduling of their daily lives, which accumulates to never being able to accomplish everything we set forth, and continuously remaining stressed by what hasn’t been done. It’s like getting onto a treadmill of torture that never ends, never allowing you to get off. While our lifestyles are excessively fast-paced, requiring apps and digital calendars to schedule every last minute, our mental states and emotional well being are suffering. So how do we find balance amidst all of this tumult? How do we break free from this highly destructive pattern? How do we escape the noise and the raging in our minds? With the right methods and tools, along with the right remedies that are proven to work to defeat anxiety. We believe in treating anxiety at its source, using proven methods to quell out the fire effectively. Typically, most people assume their only options for dealing with anxiety involve medicating by the drugs their doctors prescribe, or doing so on their own terms by “self-medicating” with alcohol or recreational drugs. The problem with prescription drugs is that they do not offer a long-term solution to the issue of anxiety disorders. They may provide relief momentarily, and can be quite useful for short-term problems, but in the long run, for those who have serious problems with anxiety, the drugs will continuously need to be taken in higher and higher doses in order to achieve some level of effectiveness. Another issue here is that as one gains tolerance to a certain amount of the drug, eventually it will be rendered ineffective. At that point it’s time to try another drug in order to gain the initial sense of relief found after medicating. What results is a cycle, where an issue is being treated with a soothing bandaid (in the form of a medication) without the actual issue being solved. The person suffering from anxiety is then left to deal with the highs and lows, the continuous chase of balancing the overwhelming trouble of the anxiety, along with the relief, and then chasing a more effective form of relief. At the same time, the person dealing with the anxiety may become dependent on the medication in fear of not having its relief. Such a cycle is not conducive, and it can create even greater worry, and impact the life of someone with anxiety even more negatively. More things to be stressed and anxious over is not a good thing! Among the different drugs prescribed for those suffering with anxiety are benzodiazepines, a class of drugs that has the potential to produce massive side effects and dependence issues. Though they can quickly and effectively provide relief for those suffering with intense bouts of anxiety, they are not quite the best options for long term, reliable relief. So this is where finding an effective natural solution comes in. And luckily, there are many options for those dealing with the strife of anxiety, and many of which do not come with the side effects and dosage issues of prescription drugs. While there is controversy surrounding natural remedies in all contexts, as very few are actually approved and regulated by the FDA, this does nothing to disprove their relevance. Millions of people the world over use all sorts of natural supplement options in their daily lives for relief and to aid just about every ailment and minor discomfort imaginable. 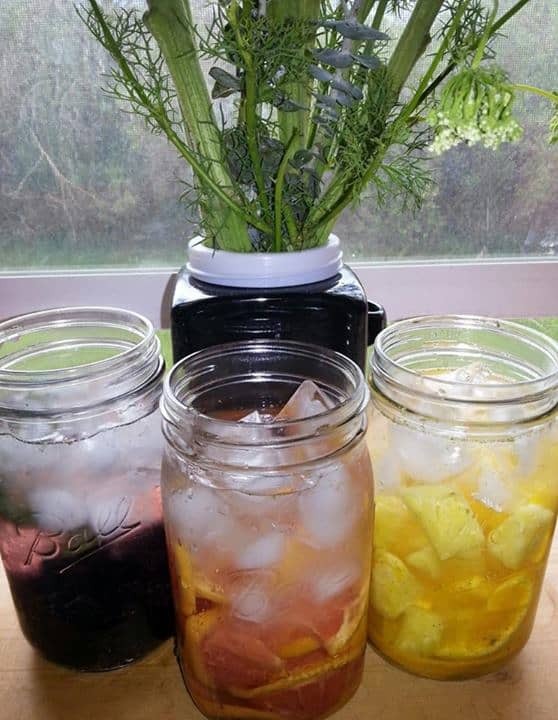 From adding in healthy fats and Omega-3 to assist with brain function, to using protein powder after a workout to increase the amount of protein one takes in, alogn with other things like probiotics for digestion, Vitamin C for boosting the immune system, or using herbs like goldenseal for depression, natural remedies exist for just about everything. Anxiety included. What if we proposed a solution, which was backed by such valid scientific research as this study published by the Institute of Psychiatry, proving to offer a natural remedy for anxiety that was hailed as having great psychiatric potential, including such uses as an antidepressant-like and anxiolytic-like compound? Would you be interested in learning more and be open to trying a naturally-sourced compound that could actually provide you with relief? During this study, animals who had been given this remedy experienced lower levels of anxiety and depression in a series of tests, such as swimming and puzzle mazes, than animals who had not been given any of the substance. Pretty interesting findings, right? Another similar study aimed to investigate the use of natural options for treating social anxiety disorder, and in this study, published by the Department of Neurosciences and Behavior, division of Psychiatry, found that a specific natural substance was associated with significantly decreased subjective anxiety. As far as we’re concerned, those science-backed findings are incredibly convincing of the effectiveness of this compound! For many people, the idea of natural remedies for any ailments seem far-fetched. Because they are not approved or regulated by the FDA; how can they be safe? Some people seem to think that natural remedies are too mild to do anything seriously effective. Or they claim that since they don’t know anything about natural medicine, they are afraid of trying anything available. For others, the notion that their doctors have not mentioned anything regarding natural options makes them question the safety. These are some of the issues people with anxiety, researching ways to find relief, may encounter when considering the possibilities of natural options for anxiety, and it is totally normal! However, you have to ask yourself if these avenues are the only ones that exist. I’m not asking you to question your doctors, or any other figure of medical authority, but I am asking you to consider everything in your body. If you somehow found your way to this page in researching options for dealing with your anxiety, I should hope that you have the basic skills and knack for critical thinking to know that just because a certain medical representative did not offer a certain remedy, does not negate its existence or its effectiveness. What we’re implying here is that it always pays to have an open mind when it comes to natural remedies for conditions such as anxiety. Learn, research, and find out as much as you can before deciding on a specific route for managing your condition. Don’t settle for anything without a deep understanding of what it can do to improve your life. Many people, doctors included, are against natural alternatives to traditional drugs because they simply cannot offer advice on things they know nothing about. They cannot prescribe these methods because they are not in line with their educational traditions, or what is currently deemed as acceptable by the FDA. In no way do we advocate using any random substances you find out there in the world, or that may be marketed to you as the next great thing, however, we do see the benefit of using your own common sense and ability to think critically to make decisions and choices for yourself. Natural remedies require you to become your own advocate, your own researcher, and your own best guide. It requires you to learn tremendously about yourself, as well as the options you have to heal. Institutionalized science is only slowly beginning to play catch up to the world of natural medicine, and slowly but surely, more remedies sourced from nature are beginning to gain acceptance. Anxiety disorders, like thousands of other health ailments can be treated with natural medicine extremely effectively, and if you suffer from any of these problems, we urge you to research further to learn more about the many different remedies that exist. Just because a solution is not widely advertised or promoted on national television with commercials during primetime viewing does not mean it doesn’t exist or hold relevancy. Solutions are available and we want to see you living with the best quality of life possible. You don’t have to suffer any longer. You do not have to be enslaved by your own mind any longer. You do not have to rely on prescription drugs, which continuously need to be reevaluated and increased in strength in order to hopefully fix the issue. If you have the option to use a remedy that is non-invasive, mild, and actually solves the problem without drugs, wouldn’t you? Talk to us; we’re here to help. For more info you can check out the Maps latest study here. NEED HELP WITH YOUR ANXIETY? We’re here to help! LUCKY FARMS Has Natural Options for you.